“Build it and they will come” said the man. We dreamt big. And they came to Burton. 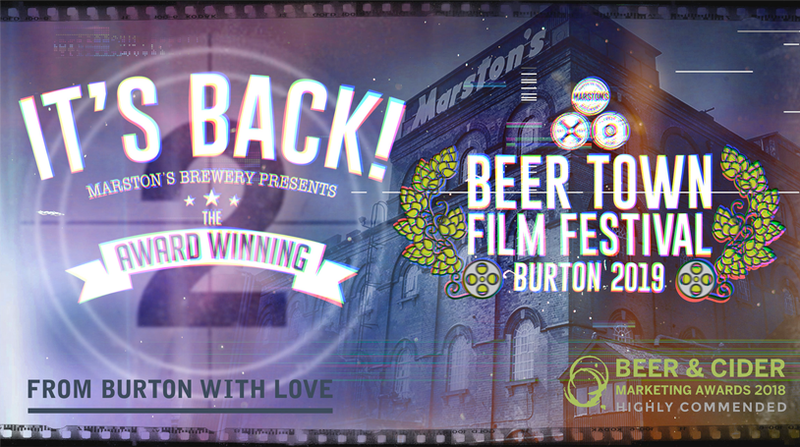 Our first film festival was such a blast we’ve gone and done it again in the best tradition of cinematic sequels: Beer Town Film Festival 2019 is open for entries from now until 2nd February 2019. We’re inviting entries for short fiction, short documentary, animated and music video categories. New for this year we’ve added the ‘mobile 61’ category that must be shot on a mobile phone and must last exactly 61 seconds – everyone’s a movie maker these days, right? In addition to all the category winners, judges are dishing out two spot prizes – including one for the best film made by ‘home-grown’ talent. Oh, and did we mention that winners in each of the categories win a cash prize of £500? Best of all, the judges will choose an overall Beer Town Festival winner and they will collect £1,000 in prize money as well as the peer group plaudits, the new commissions, the social media love and a little bit of fame. Judging will take place from March 2019 with winners being announced in May 2019.